The 3rd Annual BBNT U15 Camp was a huge success! Pictures and trip accounts from the kids are at the bottom! Day 1 We drove out to Soldier Mountain and set up camp. 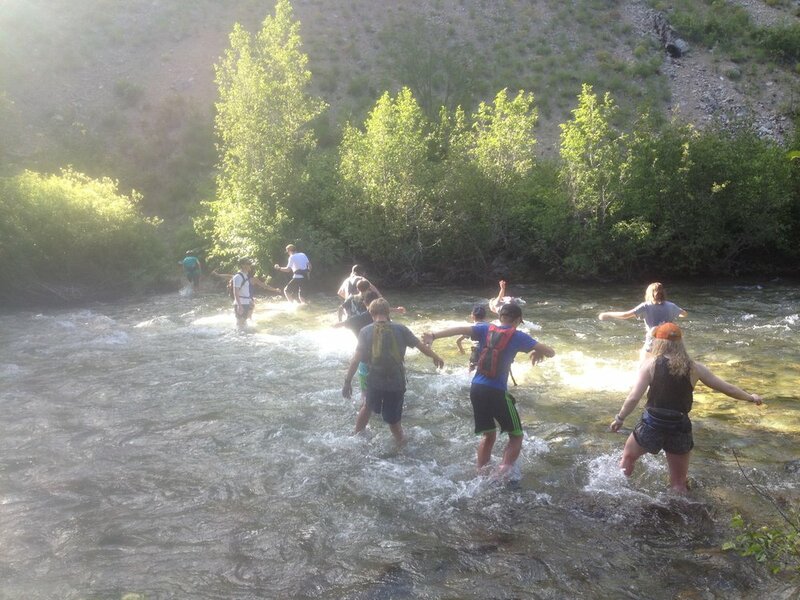 Our first workout was a 4 mile run along Soldier Creek. 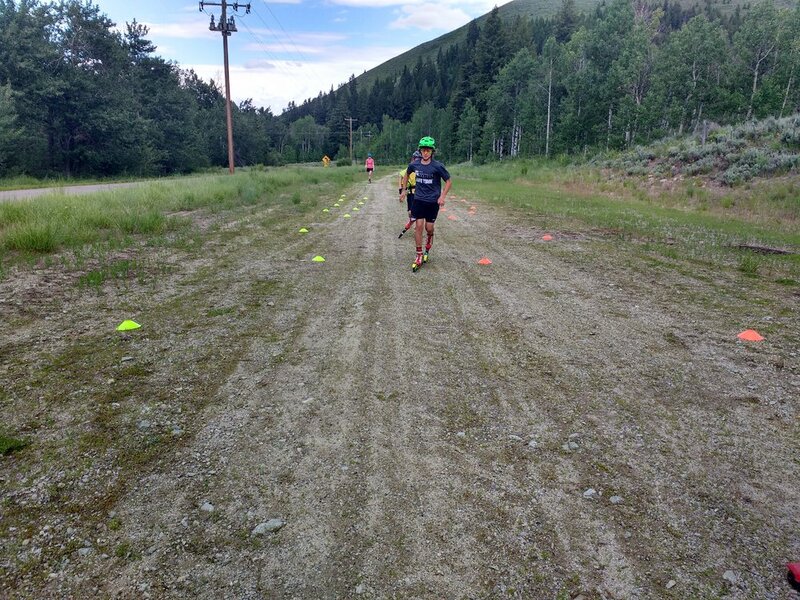 I advised the kids take the first run easy to save themselves for the rest of the camp, but of course they TOOK OFF! In the afternoon we had our "intro to rollerskiing session." Everyone KNOCKED IT OUT OF THE PARK! Our first timers were particularly impressive - looking like long time skiers! 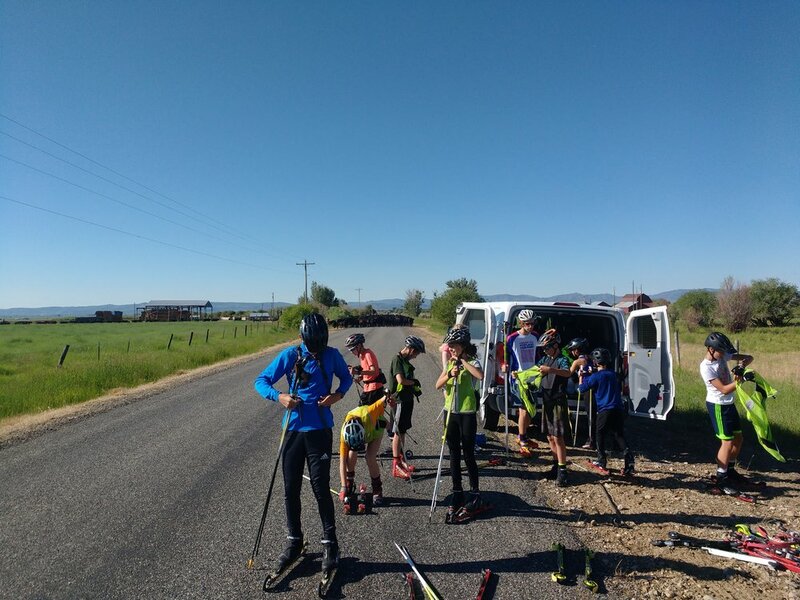 Day 2 Started with a rollerski along the soldier mountain road. On the drive in the day before we'd had to push out way through a herd of cattle, and as we started putting on our rollerskis we saw them coming up in our direction - 1000 cattle staring us down. So it was off to the races! 11km of skiing is a great day for anyone - particularly when you've only skied a handful of times! The forest service manager came by in the afternoon and told us that they had accidentally reserved the campground that we were staying in - and in exchange offered us free camping in a different campground. Initially we were a little bummed. It turned out to be a blessing in disguise. The new campground was along the Big Smokey Creek, in a spectacular valley. 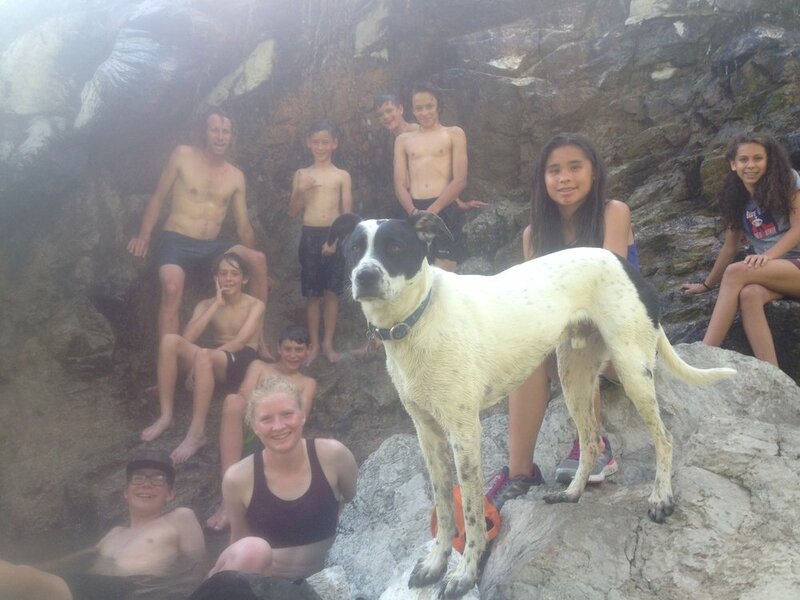 Our afternoon run was a cruiser along Big Smokey Creek to a Hot Springs - they were fantastic! The run back included fording the creek (river) in several spots. Day 3 was a hike up Smokey 2. 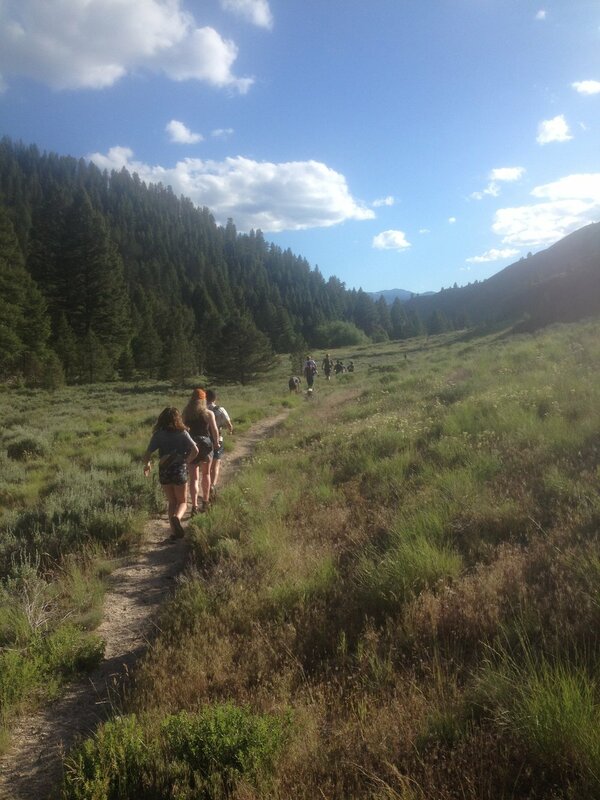 We started by our campground from the first day and headed right up. The trail was pretty relentlessly steep, but I guess that's how you get nearly 5000 ft in just over 5 miles! 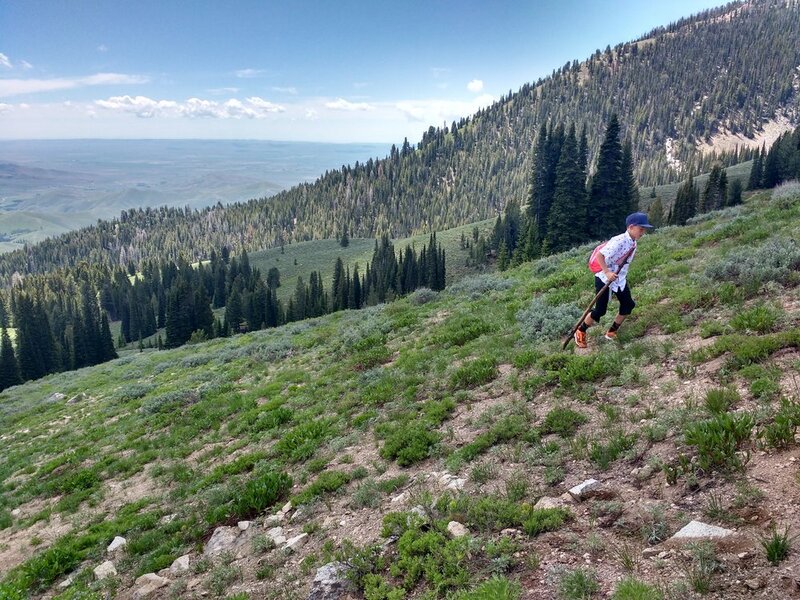 Some highlights were glissading down the snow patches, some spectacular wildflowers, and a stunning view of the Camas Prairie and Smokey mountains. The drive back introduced one last piece of excitement as one of the tires blew out on the van... It took a bit to figure out how to change it on the van, but we got it changed and only got back home about an hour behind schedule!